This past month we launched the National Veterinary Cancer Registry (NVCR), a not-for-profit designed to advance medical treatment for naturally occurring diseases that affect animals and humans. 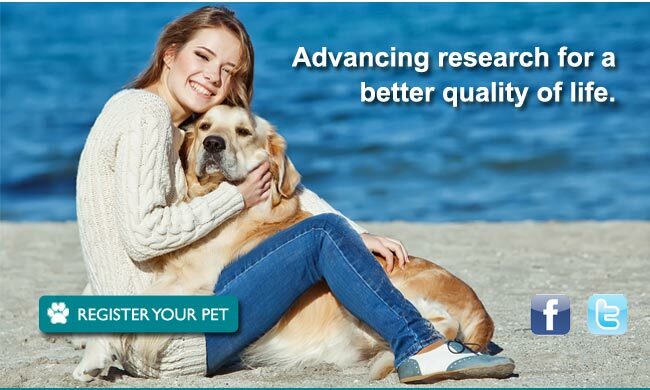 As a veterinarian and dog-lover, I founded the Registry to identify and register pets diagnosed with cancer in order to facilitate and promote medical treatments that lead to advances, higher success rates and cures for cancer in pets and people. Because pets (particularly dogs) get the same types of cancers as people, and because dogs age faster than we do, there is much that Man's Best Friend can teach us about clinical trials and responses to various treatments. My efforts began two years ago with the Texas Veterinary Cancer Registry, and after receiving overwhelming support from pet owners, researchers, oncologists and stakeholders, I accepted the call to expand the program nationally. As a result of this expansion, the Registry will reach thousands more pets throughout the country. Every month, we will send you a newsletter with updates on what has been accomplished by way of the Registry. In addition, we will be profiling stories of the pets we are working with and show you what we have done to improve the lives of these animals living with cancer. If you are already a member of the registry and are interested in having your dog or cat featured, send us your story and photos and we will contact you. The more pet owners and veterinarians we can get to register their pets, the more research we can conduct and share. Please get involved and join the cause to help find cures for our animal and human loved ones! Dr. Theresa W. Fossum, D.V.M., M.S., Ph.D., Diplomate American College of Veterinary Surgeons, is a world-renowned veterinary surgeon and author of Small Animal Surgery, the most widely used academic text on the subject. 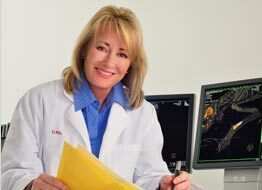 Her main interests include diseases of the respiratory and cardiovascular system, including cardiopulmonary bypass procedures, and she is a frequently cited expert on chylothorax and other respiratory and surgical diseases. She is the principle investigator of numerous research projects, and as the Executive Director of the Texas A&M Institute for Preclinical Studies she oversees the leading national program to utilize comprehensive preclinical studies under Good Laboratory Practices (GLP) and biomedical imaging to markedly enhance the quality and speed of drug and medical device development. The National Veterinary Cancer Registry is the product of a lifetime of work in medical science, for Dr. Fossum. Her hope is that with the Registry, more pets will be treated and the science behind those treatments will advance to dramatically improve the quality of life for pets and humans suffering with cancer.